No external factors or circumstances can make you stressed until you start responding to them in a negative way. 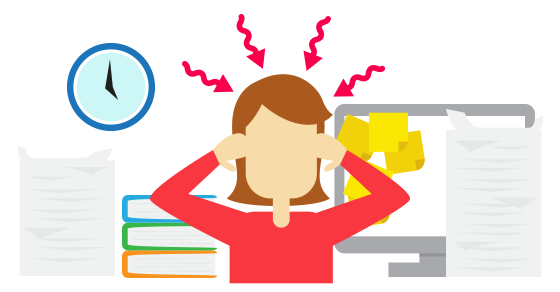 I have come across many people in life who had the same large textbooks, the same deadlines, the same kinds of bosses and more or less the same kinds of stress inducers. What made them perform well? What helped them exceed expectations? I am pretty sure, all of us at some point in time have looked up at the sky and asked this question. This starts the process of rumination- rethinking about past or future events with negative emotions. You bind yourself in an unproductive loop of thought without being aware of it. Try to come back into the present by connecting to your senses- what you can see, hear and feel. Instead of sitting in a corner sulking around, shift your focus on things you love doing- like watching your favourite Netflix series, reading a book, exercising or playing Table Tennis. The problem is not going to magically disappear but you will be in a much more positive mindset to face it. Bhagvad Geeta says, “You have the right to work, but never to the fruit of work.” There will inevitably be situations where you put in 95% of your efforts but someone who put in 50% won. Remember, you fight not to win, you fight because it’s your responsibility to do so. Free yourself by accepting that some situations in life happen to you and not because of you. 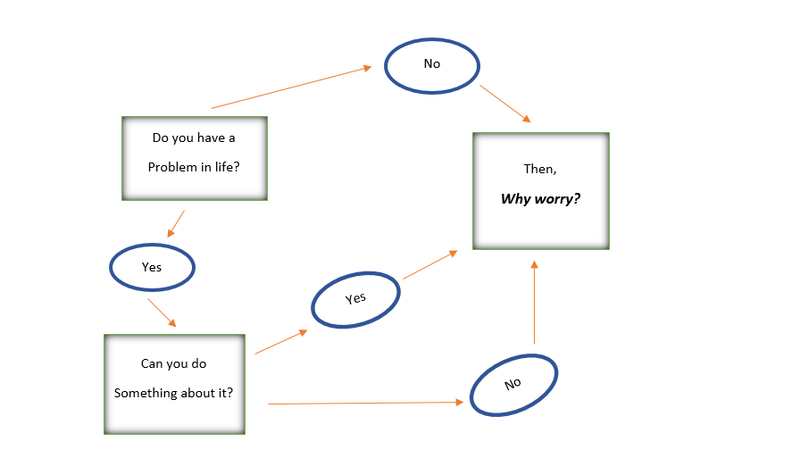 Do you have a problem in life → No → Then, why worry? Do you have a problem in life? → Yes → Is there something you can do about it? → Yes → Then, why worry? Do you have a problem in life? → Yes → Is there something you can do about it → No → Then, why worry?